As computer gamers become more and more dependant on spectacular graphic effects and rendering speeds, more and more attention is being focused on keeping the graphics card and processor (GPU) cool. Graphics cards with onboard fans are a relatively recent innovation, but that might not be enough to keep your graphics card from overheating. Computer cases collect dust. Not just like your Hummel figurines either, they literally collect dust by sucking it in with their little fan(s). Periodically open the case and vacuum or sweep the interior clean. 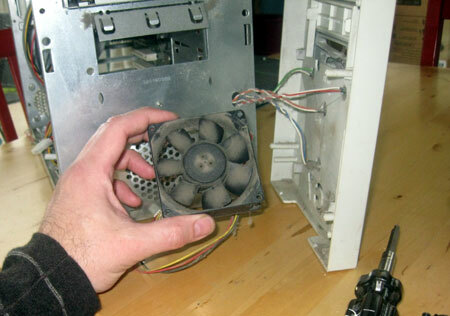 Also, clean fan blades better at moving air, so give them a wipe if they are accessible. 2. Build an IKEA, not a mall. IKEA has one entrance and one exit. They plan a route and (almost) everyone walks through along this predetermined path. That is what you want the air in your computer to do. You want the fans to pull fresh air in from one spot and push it out through one exit. Don't give the air a bunch of easier escape routes, or you will create pockets of warm, still air inside the box. 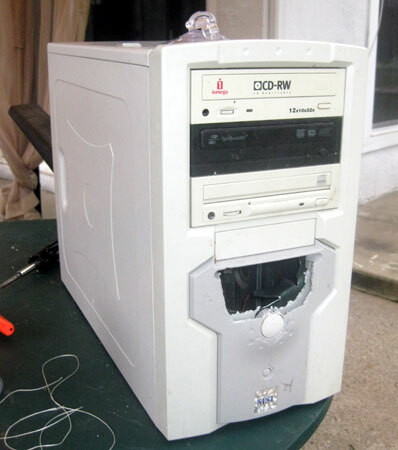 Keep the case panels installed on the computer and tape over open vents and unused holes. Ice is cheap, and it can go a long way towards reducing the operating temperature of your computer. 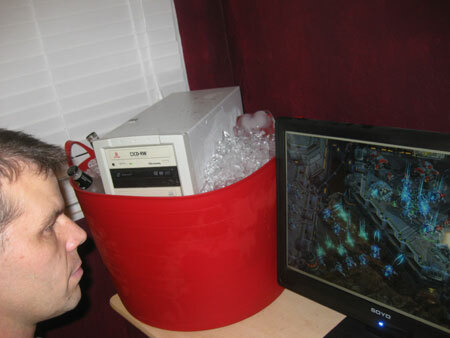 Fill a large tub with ice and stuff your computer inside. Don't allow the accumulating snowmelt to rise up into the guts of your computer unless it is properly waterproofed. 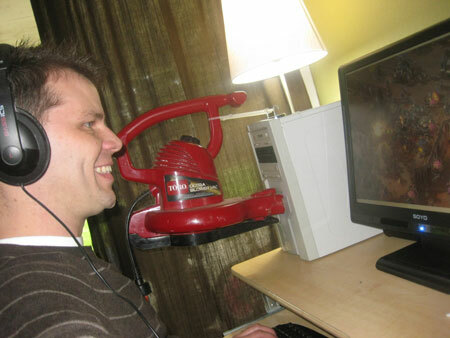 Fans are cheap, and they are a great way to increase airflow. If you need something quiet, try a Thermalright Ultra 120 eXtreme 1366 RT CPU Cooler. If you are have a tight fit try the Nexus LOW-7000 R2 Low-Profile Universal CPU Cooler. Running dual Xeons? Consider the Noctua NH-U9DX Dual Xeon CPU Cooler. External fans can work too, such as this Toro leaf blower, they can just be a little tricky to install.